Good men would not let the women they love fight with the mistress but get rid of them on their own. Just finished reading this novel and I would like to put this novel into one of my 10 favorites. I really like the FL's character was like. She's strong, thinks rationally, calm, smart and adaptable, and independent. It's really an image many women would admire (including myself). I really like stories's FL with strong personality like Su Le. The ML's set up as a rich, handsome, loyal, considerate and gentle man to FL, makes the two of them like a match made from heaven. The couple are a perfect match that makes... more>> people really envious. Peoples with personalities like Wei Chu and Su Le was a bit difficult to find in reality. The romance between the FL and ML is pretty cute and flufy, but also contained a 'pure' atmosphere. Although the romance and the main leads characters were too good to be true that it's almost impossible, I still like this novel so much!! "There were no misunderstandings like in novels, no 3rd parties, and no big changes. Everything went by calmly like water flowing in a lake." And she's the definition of coolness. And he, the definition of henpecked (in a very... more>> very good way). I will, reluctantly, wait for more chapters before I read this. Every historical novel should take note of the line: "Good men would not let the women they love fight with the mistress but get rid of them on their own". I am so tired of reading novels of women having to constantly scheme to survive. It is probable easier said than done, but I would seriously consider living my life as a nun if I were transported back in time. This author is really amazing. I feel that her novels always teaches me something new, like a new mindset. 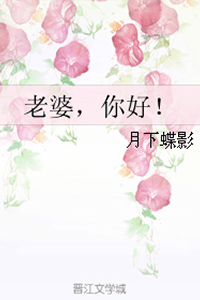 I really learn quite a lot just by reading Eight Treasure Trousseau and this novel, Hello Wife. What attracted me to read this novel at first was how the plot sounds interesting, the reviews and that it is the same author as Eight Treasure Trousseau. What made me want to continue to read this novel is because I totally respect and agree with the mindset of the female lead. The mindset and... more>> the actions of the female lead is very respectable. I honestly feel like I learnt a new lesson based on the decisions she made. For example, when the woman who stole her ex boyfriend always tried to look for trouble with her, she always stayed calm and wasnt angry. Another example would be a phrase that was stated in the novel where it goes along the line that “As woman, we don’t need to live on men.” Honestly, this phrase is something that I agree very much on. This is because I think even after a breakup, it is not the end of the world. Yes, you may be sad, disappointed or even angry but is it worth it? I think anyone can just climb back up and live on their lives and embrace new opportunities other than love to have the happiness that you want. When there was a love rival appeared where a woman who liked the male lead for a long time appeared, the female lead still acted very calmly. After that, she had to go on a trip for a signing event for her novels, in the plane she has sudden random thoughts and worries for whether the male lead would have a change of heart. But quickly, she told herself that there is no point in worrying about that and what is done would be what is done. She would only need to go back to face it and solve it. And she trust him this once. I think this part is very memorable and very true in my opinion. If the male lead were to have a change of heart, the only thing she can do is face it. It taught me that if you trust someone, you should just stick to that decision and if something goes wrong just clean it up and there is no point in overworrying. I've read the first few chapters. Like it a lot. If I understood correctly it is a novel about a woman, who is very rational and a aguy who pursues her. Loved the story so far. Very refreshing! It knows it's own tropes and gives them a twist while poking a little fun of them. Female lead is very practical kind. Looking forward to more! I think this one isn't for me. Su Le should be a relatable FL but for me she just comes across as boring af. The ML is the only character I kind of like because he seems like a big dog, but I end up feeling sorry for him because she's just so... Bland. Why on Earth does he like her?? The (lack of) plot isn't really important to me, since I tend to prefer character driven stories, but when the characters AND the plot are lacking... Does is even hold up? It has potential.. But as the story progresses it turns a bit meh. I love the author, have read her other works such as TBAVW, and ETT, this is my first modern setting novel from her. And compare to previous projects, this one is my least fave. This author like to write strong powerful FL, but on this one, I don’t feel FL much. And the love story seems too one-sided, their love and connection are not convincing enough for me, feel like ML do all the works while FL just... more>> passively agree with their relationship because ML is a good man, he pursue and did all the thing for FL. Maybe it’s the author attempts in writing comedy, it’s just me that can’t really connect to her story this time. Having read the author's Ancient China novels, my review will be biased as all three heroines are fundamentally very similar, believing in practicality over love and all being very emotionally strong woman. Su Le feels like the weakest between her, Hua Xi Wan and Qu Qing Ju. She doesnt quite have the mesmerizing charisma of Qing ju or the indolent charm of Xi wan, although considering how normal she's meant to be that's fair enough. The problem is I could never quite get invested in her and thus her relationship with... more>> wei chu. I sort of liked her but she just didn't hold enough charisma to keep me captivated throughout. Having read this after TBAVW and 8TT, modern times doesnt quite have the appeal without the signature ancient double speak and sinister underbelly of royalty, nor does it ring with a subtle poignancy about how fleeting life can be. It's just a very ordinary modern times love story and while the lack of overt drama is refreshing, it also weakens the pacing. This novel is Mango approved. What can only be called a shoujo Slice of Life targeted towards female audience, this is a sweet romance in which the sweetness comes from the romance itself. No baby bump sweetness or stuff like that. We have a strong feminist female lead who prefers to live life as it should be. On the other hand, we have the Male lead who has had a huge crush on her for years before finally acting. His pursuit of her is pure vanilla and cotton candy. Over all, this novel... more>> is just a lazy romance story which is a collection of such moments which you know can only be found in romance novels and books. The Male lead is scarily perfect and the female lead has a strong character which is steady. The side characters are agreeable. So why not 5? For one, the female character is far too monotonous. Make no mistake, I am not against her ideals or anything but looking at her emotive skills reminds me of Dominique from The Fountainhead by Ayn Rand. It is just that her character is not interesting enough for me. Then again, I am not the target audience. Also, something that I have an issue with is with the repeated projection of the views of the author regarding feminity. Is feminism wrong? Absolutely not. But I would prefer a story over a preaching. The author could have done better. Lastly, the way people address each other. This is probably a lost in translation, but I absolutely hate it when people call each other CEO Chen or CEO Yun. A CEO is not a doctor yo!! Ahh the story is so cute! A lot of reviews here are complaining about how Xiao Le Le was “too cool” or whatever, but I prefer her to the classless ladies who would react at every single thing. And if you really look deeply, you can see that she also loves him so much. Definitely a match made in heaven! This story is exactly my cup of tea. It is relaxing, cute, fluffy and not to much drama... well considering MC doesn’t like dramas she’s the perfect MC ever! I honestly didn’t even realize how much engrossed I was in this story.... That’s how good this is so, Waiting for the updates! I give this 3.5 stars. It's an average novel and it's quite cliche so far. If you read enough romantic Asian novels, the plot lines are predictable except the FL doesn't have the typical reaction because of her personality. The canon fodders tho haha. I don't want to spoil too much but really? What the odds they met? At least, the author didn't dragged the cliche moves.